Listing courtesy of Compass Washington. Selling Office: . 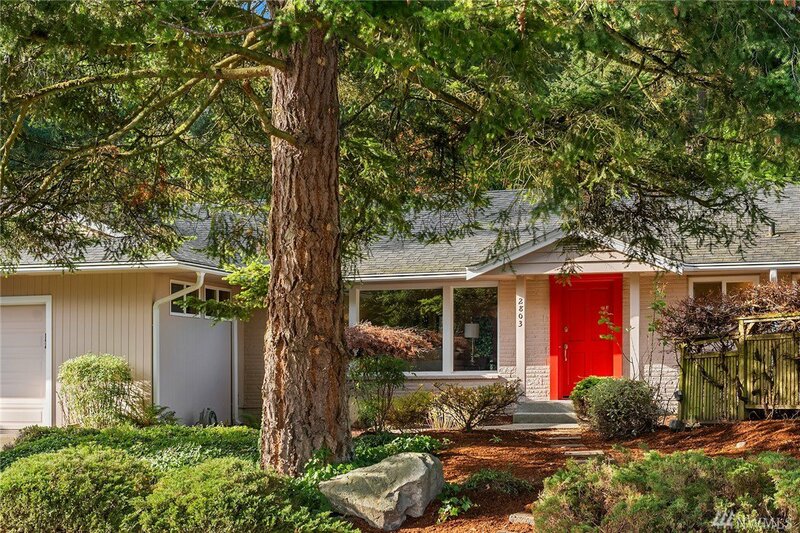 Sunny updated rambler on a shy 1/3-acre corner lot! Move-in ready w/spacious living areas, flexible bedrooms, hardwood floors & updates galore. Private master suite underwent an $80k remodel creating a spa-like bath w/claw foot tub & steam shower. Tons of light, abundant storage & built-ins to enjoy. Garden and play in the West-facing flat backyard with raised beds and mature landscaping creating a cocoon of privacy. Walking distance to Enatai Elem, parks & trails! Big 2-car garage w/workbench.